Pit Stop USA is The Online Motorsports Superstore! 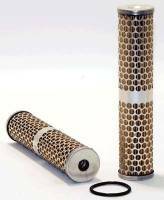 We feature Inline Fuel Filters at low everyday prices. Pit Stop USA is The Online Motorsports Superstore! 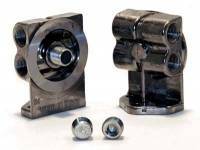 We feature Remote Oil Filter Bypass Adapters at low everyday prices. Pit Stop USA is The Online Motorsports Superstore! WIX Filters believes that NASCAR racing is the ultimate research lab. For engineers at WIX Filters, racing provides one of the worldas best research facilities for the design of filters and filter components used in regular cars and trucks. In 2008, WIX Filters celebrated 40 years and earned the title of #1 Filter in NASCAR because more teams use its filters than any other brand. With a broad depth of resources at the track, WIX takes a multi-faceted approach to its research with motorsports teams. On-track testing is ideal for focusing on scenarios such as high temperatures, fluctuations in pressure and rapid breakdown of engine oil. With everyday drivers frequently facing similar problems, experience at the track has led to the development of products that can take the toughest punishment racing, and cars in general, can dish out. WIX has been tapping into this fast-track research lab for four decades. In 1967, Richard Petty began using WIX filters. The King won his second NASCAR championship that season, and WIX filtration technology helped him win five more. Today WIX filters are under the hoods of more than 20 Sprint Cup cars. In fact, nine of the twelve 2007 Chase participants utilized WIX filters. Founded in 1939, WIX has a proud tradition of growth and innovation. Wix Racing oil filters utilize aglass enhanceda cellulose media, which enhances their ability to capture particles as small as 10-12 microns, removing up to 94% more dirt than traditional filters. Many filters include built-in bypasses to maintain oil pressure even under heavily clogged conditions. 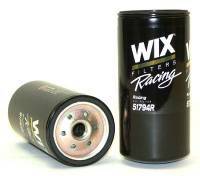 We feature WIX Oil Filters and WIX Racing Oil Filters at low everyday prices.